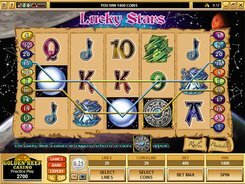 Lucky Stars offers players an astrology theme with 5 reels and 20 paylines. Symbols in the slot include high playing cards from 9 to A, and the four elements (Ground, Earth, Fire and Water). 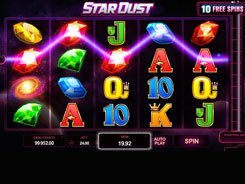 The game offers a decent betting range that will suit most players. A coin value starts at $0.01 up to $0.25, and you can select 1 to 10 coins per line. Thus, the smallest and the highest stakes are $0.01 and $50 accordingly. 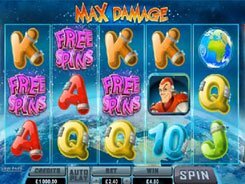 The Metal Globe is a wild and a wild multiplier that acts as a replacement for other symbols and doubles payouts when substituting. 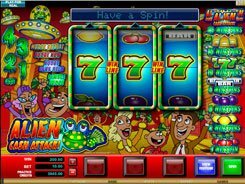 Furthermore, a wild awards the slot’s jackpot worth $50,000 (or 10,000 coins) on a maximum bet. The Lucky Stars feature gets activated once you land three or more Wheels of the Zodiac scattered in view. 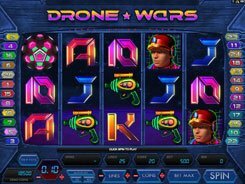 You will get 7 free games with all wins tripled. After the last free spin, you are invited to choose your zodiac sign and then set the zodiac wheel in motion. 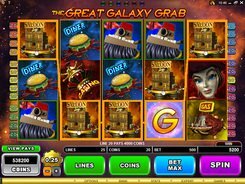 If the wheel stops at the sign that you have chosen, you are then offered to play a bonus game or 15 free spins.